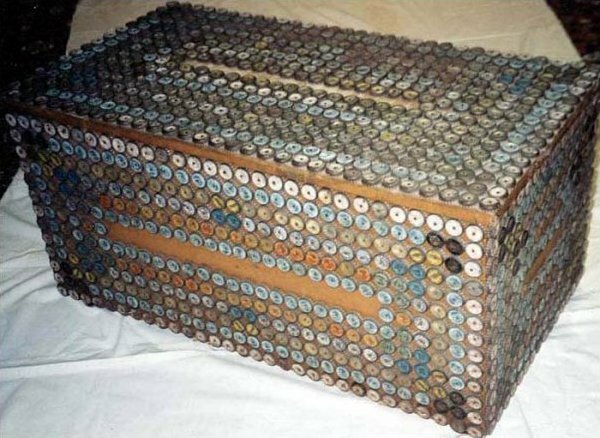 Covered on three sides and top with soda bottle caps carefully configured to create a design with color and detail. Back has framework of caps surrounding an| open center. On little brass wheels. A thoughtful composition both utilitarian AND charmingly folky.